From the 1854 rendering of A Home for All. . . Between 1800 and 1840, medicine underwent continuous change both politically and philosophically. 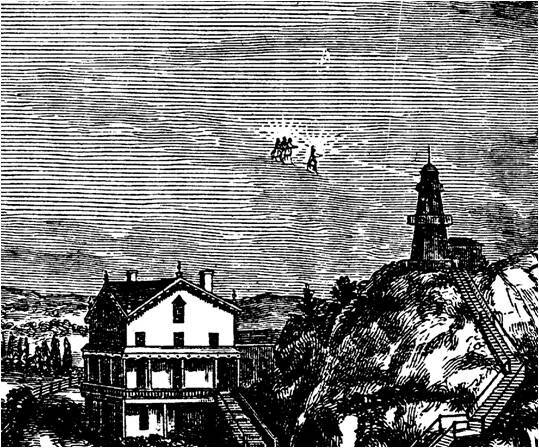 Unlike the original Boehmites and Christian Astrologers in the Hudson Valley waiting for the Second Coming, or the Dutch physician in search of George Starkey’s Philosopher’s Stone (Dr. Cornelius Osborn), followers of 19th century medical philosophy must have felt the local reformed movement in medicine had matured significantly over the years. Aside from ongoing issues about the advancements in science that continued to plague the field medicine and its stubbornness about some of its practices, a number of legal actions were taking place at the northern end of the valley in Albany compromising any political strengths that regular physicians had. For the most part, the once highly respected MDs were now losing their battle with the masses. Even politicians were at times against regular medicine versus its alternatives like the Thomsonians and others. The newest medical schools to open in New York State during this time were incredibly diverse in their beliefs and methods of training. Like most of the young professional schools in other states, they did not always agree with specific parts of their training. For example, some were against the use of cadavers for teaching anatomy, unlike others where students and professors were open to the use of cadavers, but the general public was not. This came to a political heat one year in New York city when the New York City school made use of a cadaver from someone that somebody knew–one of the neighborhood grandparents. The mob scene this resulted in around the medical school, since it was so ineffective, was transferred to Samuel Bard’s home in one of the richer parts of the city. Even a mob scene during the 1780s couldn’t justify the social inequality many people were witnessing , some feeling this way for the first time as Bard just stood there watching the people outside his window taking to the massive protest. Even more interesting was the lack of solidarity that then existed amongst the different teachers of medicine. It was not unusual for example for two schools to be situated fairly close to each other geographically, and for one one school of medicine to include some new of the new findings and the other to exclude this “new age” thinking. 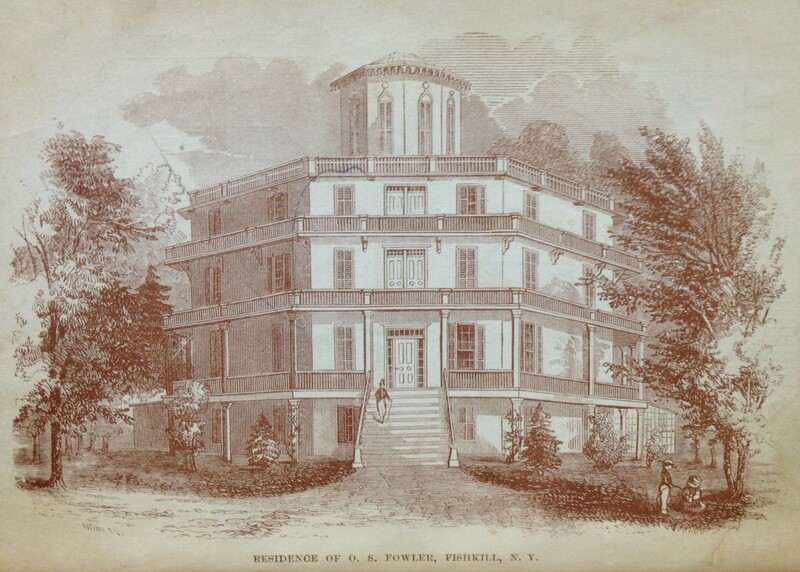 For the first two schools of their kind in New York and Philadelphia for example, New York Samuel Mitchell was a naturalist who had developed his own version of the now too-outdated miasma-effluence theory for disease, while Philaldephia’s Benjamin Rush developed and promoted his theory based on an early pathology-based construct in which diseases were defined as sue to internal or local events and external or distant events. This polarity in opinions in the field of medicine continued for decades to come. Each time a new and controversial form of care evolved, schools were quick to chose their sides in the battlefield. One of the most recurring examples of this political bickering onvolved the possible therapeutic values of medical electricity, and later what were considered its similars and distant cousins such as galvanism, hypnotism, and the use of electropuncture needles, practices made popular by the French moving into the region due to the French Revolution. 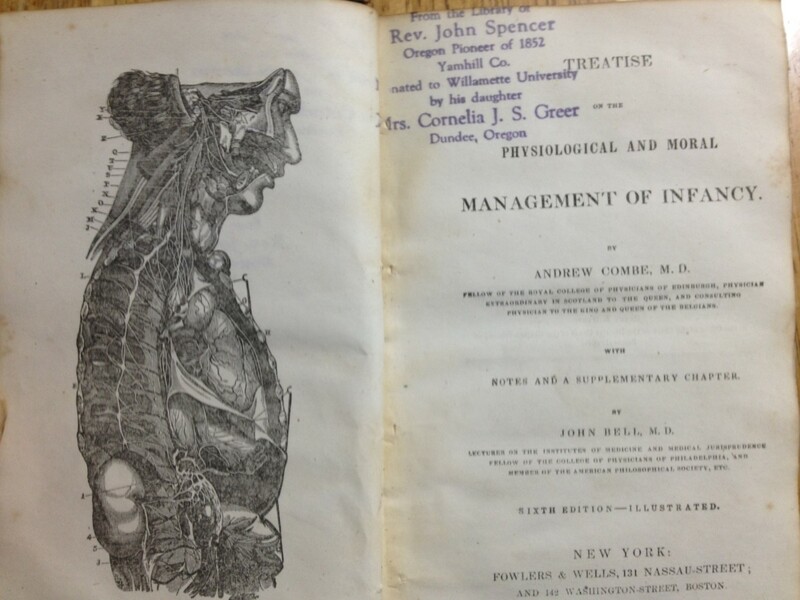 Samuel Mitchell’s incorporation of everything to do with natural history into the medical journal he was the chief editor for during this time, Medical Repository, turned medicine into a practice with survivalism and Lamarckian philosophy as its principal components. In Mitchell’s mind, the fossil evidence by then being discovered was proof that either extinction was at hand through natural selection processes, in much the same way that prior organisms had become a part of the local topography in fossil form, or we could adapt and change our living behaviors to better meet the ongoing environmental and meteorological changes related to the diseases of the New York region. These differences became even more apparent as time passed during the early 1800s. Once regular medical schools began to compete with numerous alternative schools that began popping up around the same time during the 1820s, we find regular medicine to suddenly begin to reduce in popularity and the new forms of medicine beginning to take its place. From 1825 to 1850, the ratio of irregular or alternative medical schools opening to regular schools varied between 2:1 and 5:1. Regular medicine was losing both the scientific and social battles in the public’s eye. During this time we find there to be some schools that were so specialized that only a certain ethnicity or cultural background normally engaged in such a practice. 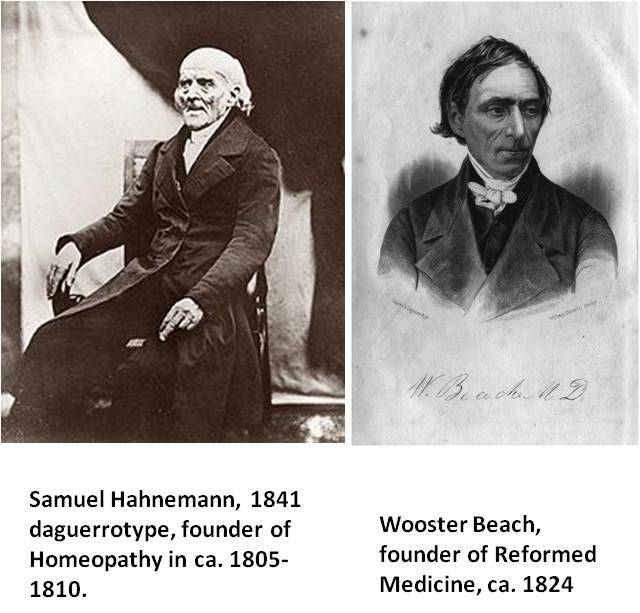 For example, people in Western Pennsylvania could learn about the new practice invented by Samuel Hahnemann known as homeopathy, but only if they were read and literate in the German language. For hydrotherapy or water cure, if you were a woman willing to travel, you could learn your skills in New York City between 1837 and 1845, with classes taught only by women, offered mostly to women. Or you could just simply stay at home, read two of three books on disease, midwifery, and medicine, and become your own doctor. If you were strongly religiously minded, you had the Christian supporting Thomsonians to learn medicine from. If you were into the natural philosophy involved with the use of local herbs, you could become a botanic physician or self-professed “Indian Doctor”. As for regular medicine, even graduates of the regular medical school began questioning the efficacy of their practices. They had learned their practice from a number of very spcial craftsmen in the field of medicine, doctors who were effective in the Colonial and early Post-Revolutionary War militia doctors setting, but serving as a military field surgeon as required by the government for ashort while before becoming a public doctor was not the route every doctor-to-be wanted to follow. For this reason, unlike the Revolutionary War and War of 1812 doctors of the past, the new physicians were into developing their own unique following. By 1820, this needed change in medicine was ready to become productive. The 1820s change that took place in regular medicine In New York was hinted at around 1817 when one of the earliest schools in Ohio, initiated by a Dutch family from New York (the Van Kleeks), became greatly interested in medical electricity. These doctors seemed neither regular nor irregular in their beliefs and practice. Their neighboring communities would later become strong advocates of Thomsonianism and Indian Root doctoring combined, a practice that their founder Alva Curtis came to call Botanico-medicine. There was also was the School of Reformed Medicine initiated in New York City by Wooster Beach in 1824, which at first mustered up a significant amount of its support from the current Thomsonian physicians but due to its own mob scenes was forced to remove from New York city after just a year of active training and practice. Regional differences in culture and religion also had impacts on the kinds of medicine being practiced. It was these regional differences that often had the most impact on what kinds of schools formed and remained open. Due to the strength of the regular medical practitioners in New York City, once Wooster Beach opened his Reformed medical school it took only several encounters with local mobs to shut his program down. This forced Beach to remove to Ohio and reopen in Columbus a few years later. Likewise for homeopathy, whereas the initial homeopathic schools were totally devoted to German immigrant families residing in western Pennsylvania, these schools were forced to close quite early once the bulk of German immigrants in need of such education dwindled down once the first few who were there had completed their training. This meant that the next set of homeopathic schools to be open had to offer most if not all of their classes and textbooks as English translations and revisions of Hahnemann’s works. (Interestingly, the very first homeopath to practice in the United States made use of the lancet as well.) Finally, the most religious social makeup of this country –inhabitats of the Bible Belt states– decided to open medical schools that offered classes both inside and outside the church setting, some as offshoots of the old time Thomsonian practice preached and practiced years before in and around the New York to New Hampshire region, others as their own forms of alternative form of natural philosophy based sanative practices, like the new heavily Christian promoted “Independent Thomsonian” schools opening up in the Columbus, Ohio area some time around 1845, and the church-bound anti-cadaver schools that became the first medical schools in Illinois around 1842. Not only was medicine itself undergoing these changes in scientific beliefs in training, becoming too atheistic or agnostic in appearances along the way, so too were the earliest fields devoted to the study of human behavior and psychology now developing along a similar route of change due to this sociomedical split. Religious and galenic cures were being replaced by natural philosophy cure. 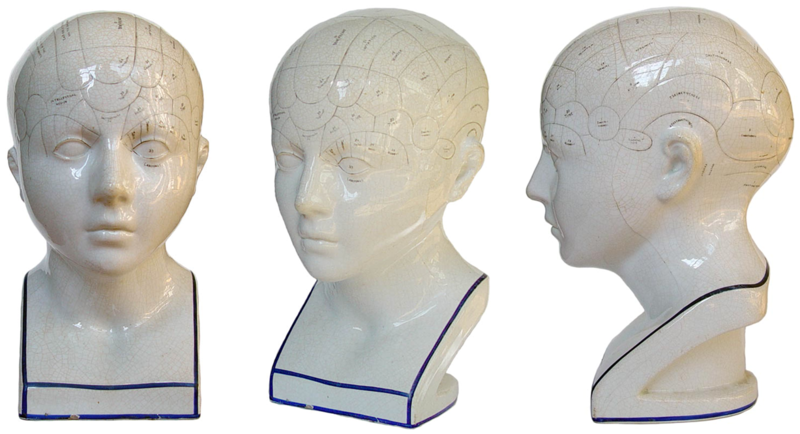 Whereas during the past several decades, remnants of the old humoral theory, the philosophy of brunonianism (atoms migrate and move= the body depends on nervous energy), and the focus on the four temperaments regarding human behavior predominated the medical and early human psychology field, new philosophies related to physiognomy and phrenology came to rule during the early to mid-1800s. The notion that someone was very biliary, sanguine or melancholic in nature was soon replaced by a more detailed physical interpretation of the head and face, with specific measurements taken in order “read the bumps on one’s head” to define these behavioral differences. Until the late 1830s, these practices rarely captured the attention of many citizens. But by 1845, Orson Fowler’s Octagon House and Lorenzo Fowler’s teachings on phrenology were the fads of the year. From this point on, both of these teachings would continue to dominate the “irregular” or alternative medical profession for about a decade or two. This gave Lorenzo and Orson the opportunity to not only spread the word of their teachings, but also to promote various new fields of alternative medicine that were erupting due to this public change in thinking. 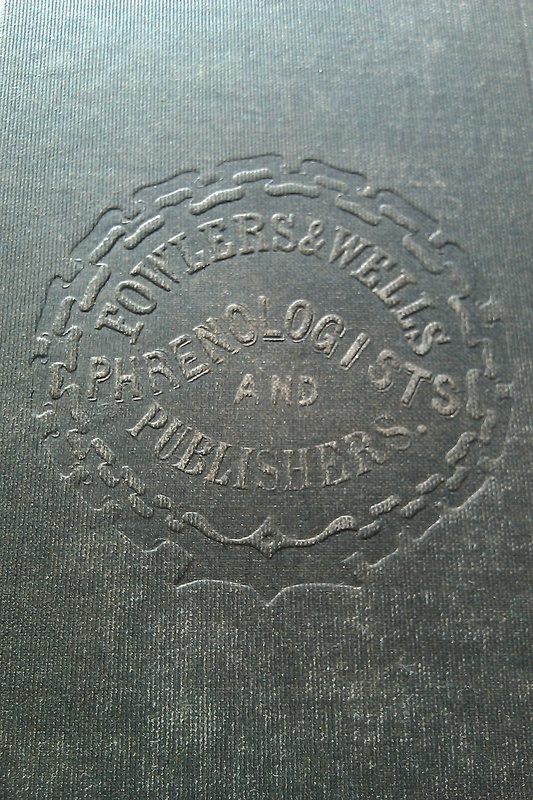 As publishers, the Fowlers had much of their influence within the city of New York. As practitioners, it was the pastoral field setting between two small towns in upstate New York, Wappingers Falls and Fishkill, that led to the popularization of Fowler’s teachings and publications at a national level. 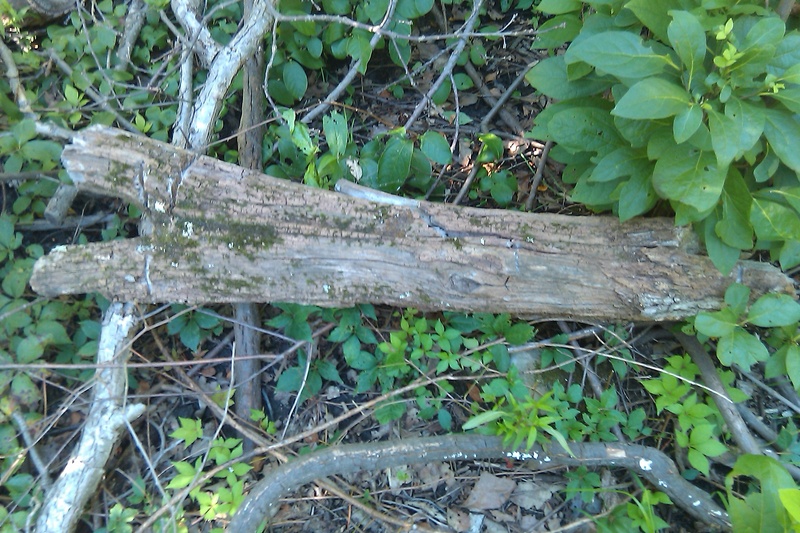 Old Post Road (currently Rte 9 approximately), between MacFarland Road (east side of Old Post) and Old Hopewell Road (cross road to the north of the Fowler properties). Map of Dutchess County, New-York. From Original Surveys, J. C. Sidney, C.E.. John E. Gillett, Publisher. Entered 1850 by Robert P. Smith in the Clerks Office of the District Court of the Eastern District of Pennsylvania. NOTE: many writers refer to this location as Fishkill, an error initiated by a revival of this piece of local history by another writer several decades back. Of course, us true locals know this is Wappinger Falls, and the town line for Wappingers-Fishkill is a tenth of a mile or so south of this location. P.S. 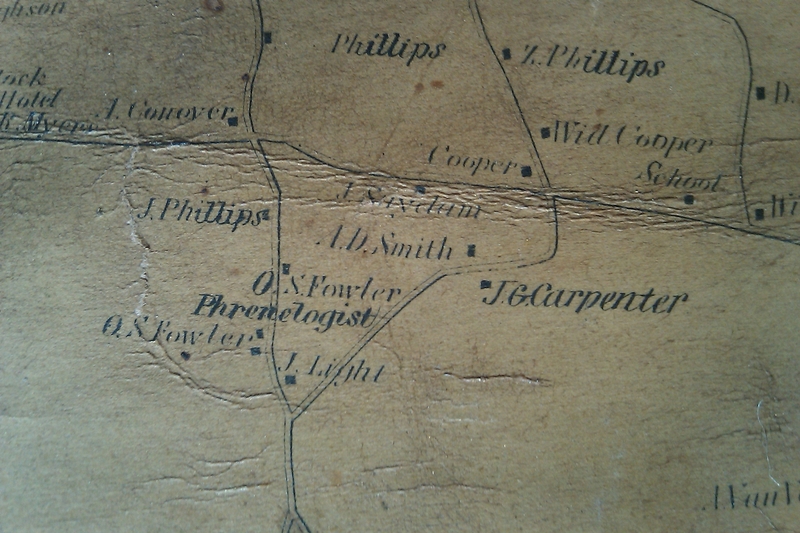 My childhood house is halfway between the two dots beneath the ‘O.S.Fowler’ name, across from J. Light. The Octagon House along Old Post Road, built on the Fowler estate at the south edge of Wappingers and the north edge of Fishkill is where all of these changes in medicine took place. This house became the place to visit when you were a New York Cityite trying to make peace with your self by escaping into the country. These visits were usually made in order to satisfy all your personal, intellectual, emotional and intuitive wants and needs. This new thought, new philosophy way of looking at things, had a great influence on the future of alternative medicine in this country. Most of the unique teachings of human behavior and pyschology were born in new York and preached in this rural setting. Andrew Jackson Davis, and attendees, seancing with past family members, ca. 1855-9. It is said that Edgar Allen Poe and Arthur Conan Doyle came here to experience and practice some of the alternative teachings. This is where the Fowlers and others helped initiate the first feminist movement. This is where the teachings of vegetarianism by Sylvester Graham and others were promoted and adhered to. This is where Orson Fowler demonstrated the value of the earth closet (versus water closet) for recycling human waste and helping with the gardening. This is where people travelled to in order to follow the various trails along the edge of large pastoral field settings on horseback or by carriage, to better understand their place in the world and become one with nature once again in the ideal pastoral setting. This is pulled from the Illustration at the very top of this page. 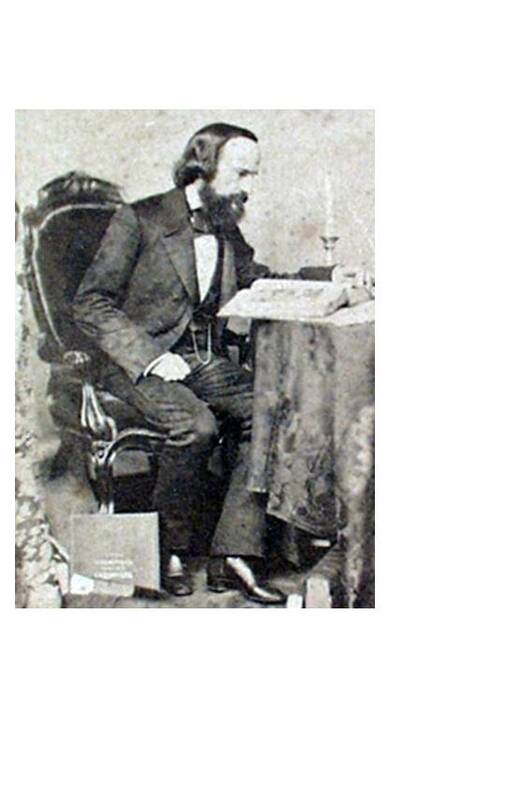 In his book, the frontispiece provides us with insights that only the locals for the time probably recognized. In his illustration stands a man dressed in a suit and tall hat, looking towards us and probably towards the street. The first thing that comes to mind when you see it is ‘wow, that house is hug!’ Which is exactly what I thought, But knowing the property and every square foot of its size and complexity, I couldn’t imagine the house to be that big. ‘There’s something wrong here’ I kept saying to myself. Then it came to me (and believe it nor not, not due to any seancing or such). From the angle below, looking up at him, it appears as if he stands about 4 stairs high, that is to say 4 times 7 or 7 1/2 inches, or 28 to 30 inches in height. He also appears dressed too perfect for a small child, and is standing too straight, and perhaps seems to be too skinny to be child who so young and so small, based upon his height. Well, standing there with the cane in his hand was probably good ole’ Charles S. Stratton. A local star for New Yorkers. The stage name for this debonair guest of Orson Fowler is General Thomas Thumb. My guess is that P. T. Barnum probably worked in the Fowler’s neck of the woods down in New York City, somewhere next to the Lyceum that Fowler owned and operated. All three of these folks, now well into their stage lives, must have met! General Tom Thumb became a famous celebrity just a year or two before Orson began writing his book. Orson published his book as a series of articles in Popular Science Weekly, before commiting it to press. 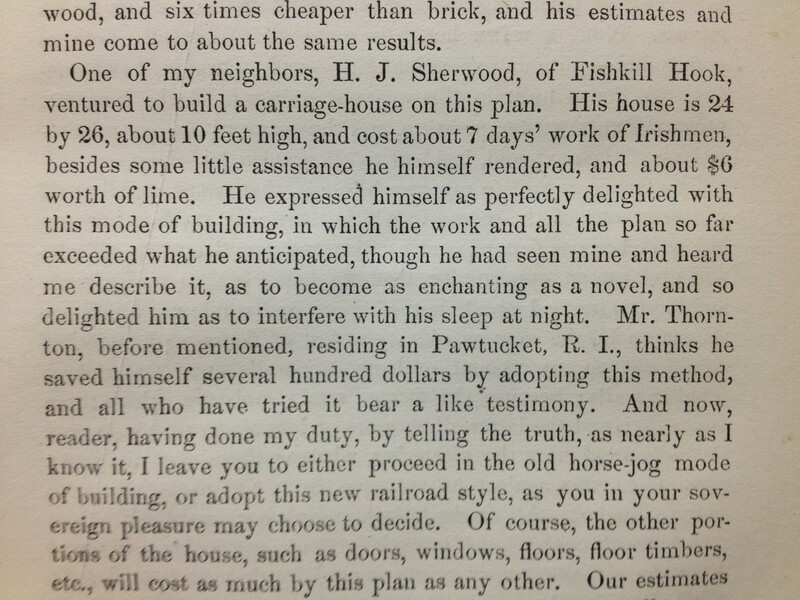 And the year before that, 1847, there was another book published about the little star born in Bridgeport, Connecticut, entitled Sketch of the Life, Personal Appearance, and Manners of Charles S. Stratton, the man in miniature, known as Tom Thumb, twenty-eight inches high, and weighing only 15 pounds. It was published out of New York by Van Norden and Amerman. 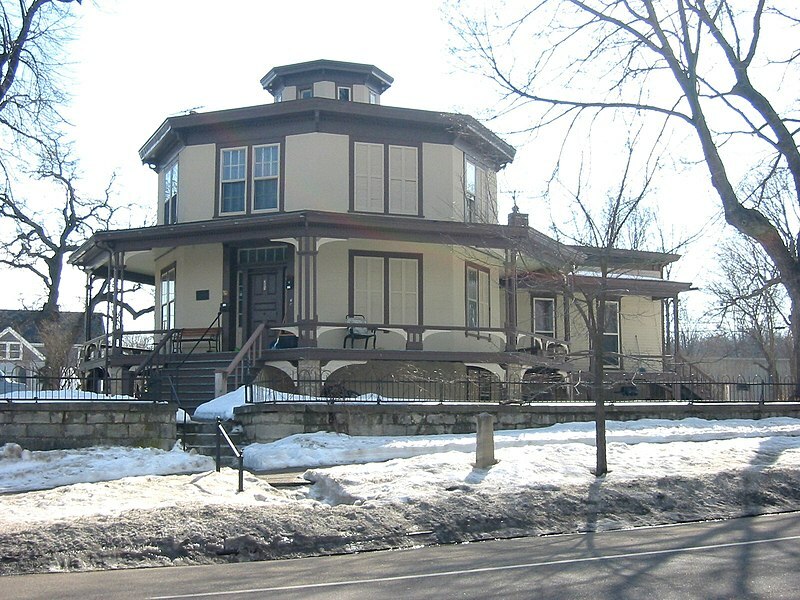 As told by the title, Tom Thumb stands about 28 inches in height, or 4 stairs high, just like in the illustration of Fowler’s Octagon House. By making the house look so much larger, the three of them had a perfect marketing scheme you could say, a typical result whenever and where ever P.T. Barnum was involved. guest and dwell with me in celestial bliss. Celestial bliss usually refers to the New Jerusalem, Revelations and the “second coming” (for which see); another local writer who was published out of Troy wrote a lengthy book on this. 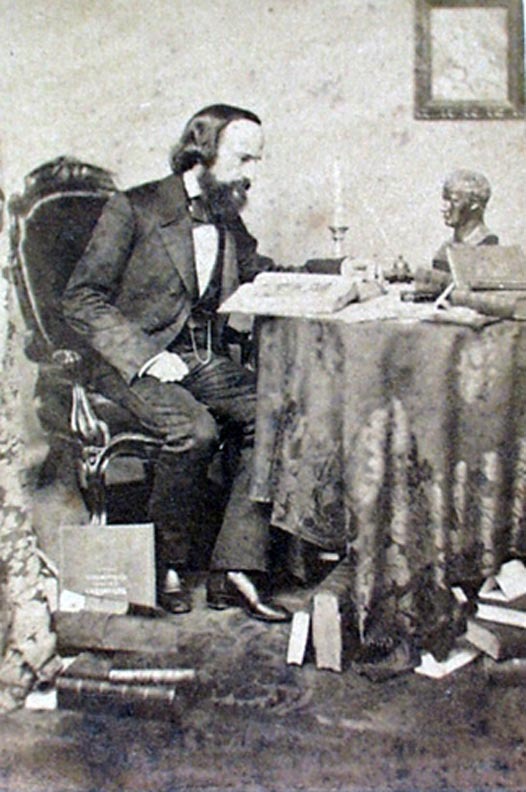 By allowing these practices at the Octagon home, Orson Fowler helped promote anything and everything having to do with natural philosophy and human psychology, counseling relationships, making career choices, finding the perfect love and romance, and the ultimate in celestial love and relationships (which one of his last books was on). Locally, he helped popularize Andrew Jackson Davis for his practice of channeling with spirits, Reverend Dod’s teachings on hypnotism and sensing the body’s energy by way of the ulnar nerve, and of course, his own skills of phrenology and the prediction of personality and vocational choice on each and every visitor. Fowler is also responsible for making the woman’s use of water cure become commonplace, individual who also taught us how to diet and be a vegetarian, and who with the help of the famous Reverend Graham offered to anyone willing to listen the teachings, preachings, and reaching out needed for them to change. The influences these movements by Orson Fowler had on the country cannot be fully realized, until you see where the books that he sold went. The above book, along with many others I found over the years in the Pacific Northwest. By impacting such alternative practices as the practice of water cure, natural medicine, the earliest promotions of medical galvanics (wearing two types of metal to produce a healing energy), and the use of the body to heal the mind and vice versa, Fowler produced developed a following that in just a year or two made their way cross country to new homes and places in the Pacific Northwest. All of this this took place due to the return of the plague . . . in the form of a cholera, Asiatic cholera to be exact. On occasion I come upon these writings about spirit rappers dancing in the streets in the midst of a cholera epidemic, most in the Bible Belt, and many of whom were also from New York it ends up. There were several water cure ladies on the Trail, taught by the famous school in New York City a year or two previously. Just like Joseph Smith made his way from upstate New York, to western Illinois (Mormons in Nauvoo), and finally westward into Utah, so too did many a lady or gentleman who bought a book published and promoted by the Fowlers and who attended their classes, take these writings with them to Oregon, Washington, California, and Utah. 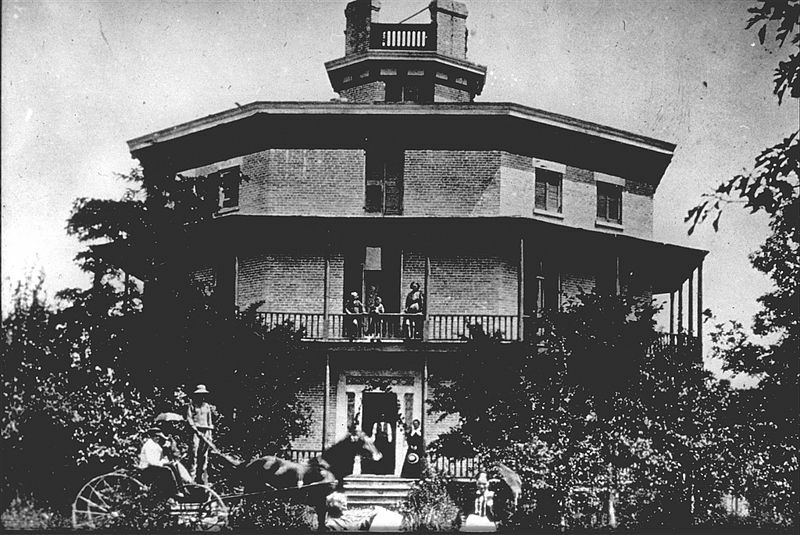 Any sort of metaphysical thought or philosophy not tied to regular medical teachings was not only preached at the Octagon House, but made its way to certain other parts of the United States, blessed by the spirits responsible for their survival along the way, as far west and the Far West Territories not yet becoming States. For this reason Oregon is the heart of many of the teachings of the Fowlers in fact, and where many of the teaching they promoted and established careers for ended up. For some reason, all of this has been forgotten about the history of Dutchess County, New York and the impact of the Fowlers on medicine in the United States. Ironically, I realized all of this from the used books published by the Fowlers that I was buying in Oregon. It took me another two or three years to realize that this was the Fowlers who owned the property I grew up on. Having grown up on the Fowler estate, I felt I couldn’t let this history be forgotten, ‘especially since I was set up!’ I figured. (The blue pin is my house when I was a kid). 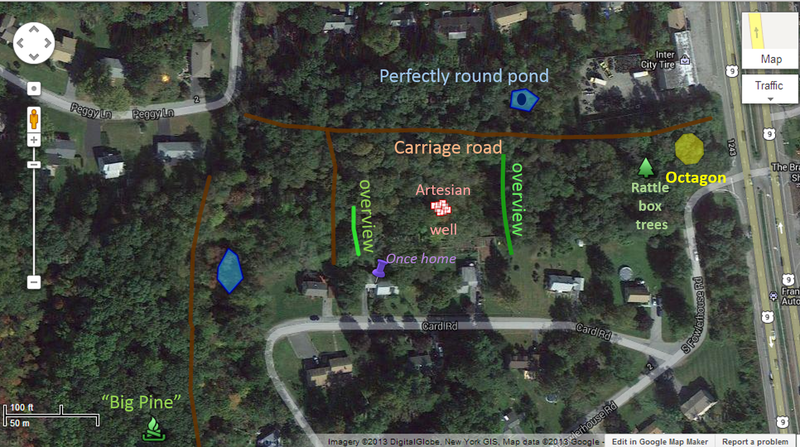 Somehow my childhood experiences that took place in the woods behind the octagon house now had a reason for happening. There are now woodlands where pasture lands once dominated the local scenery. Even when I was a child, I found the woods were easier to walk through and in the Fall I could tell these woods were very young, that this was just a field at one time a century earlier. Such observations gave me some interesting insights into this land and how it was once used, insights that I just couldn’t ignore once I realized that was what I had been “set up” to study. Each one of the stone walls laid, boundary line locust trees cut, artesian wells dug, bottle dumps laid to rest, streams I had to cross, and scythe, sickle horse tie, and the 2-man saw I found lying in these woods, had its own story to tell me about the local property, long before I ever knew about its history as the Fowler’s Octagon estate where some kid before me shook the same rattlebox trees to play a trick on the neighbors. To locals, Fishkill Hook is barely a neighbor. This is the road that crosses over 84, leading from Wicopee Village toward Wicopee Fire Company. 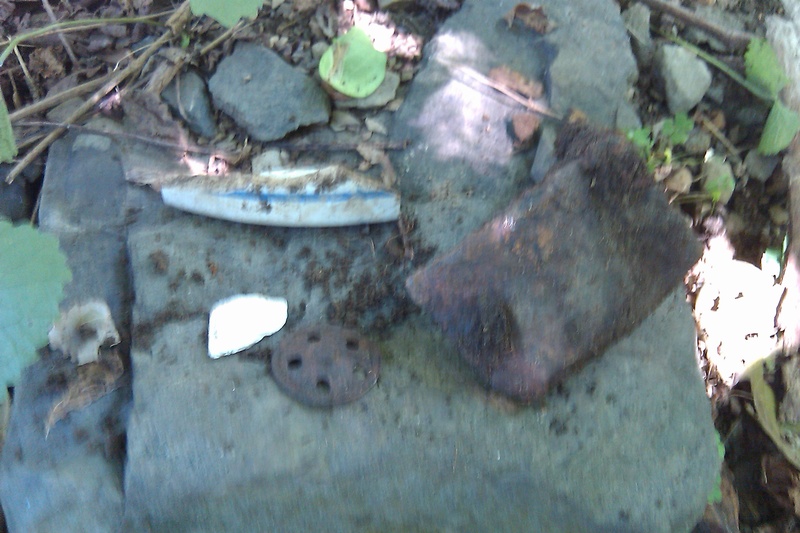 The Fishkill Hook hamlet I believe was south of 84, where the other Hooks’ roads meet. 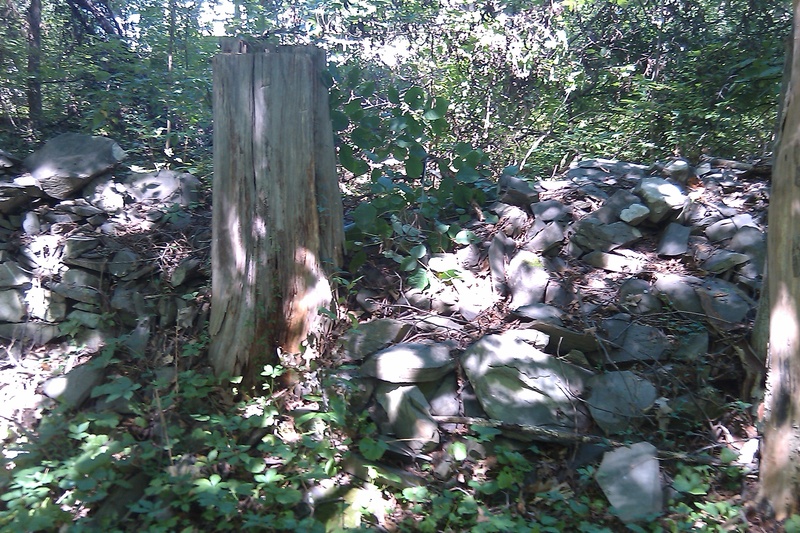 Old Black Locust or Cedar Stump, with stone wall marking border of carriage road and pasture. “Construction began in 1848, the same year his book was first published, and took five years to complete. The house was large, 42 foot to each side of the octagon or 100 feet across, and built on a hilltop overlooking the Hudson River, where it could be seen for miles around. Fowler removed the top of the hill to create a level site and to provide material for his “gravel walls”. This grand residence had four huge reception rooms which could be interconnected depending on the size of event, allegedly 60 rooms (counting small dressing rooms as well as proper rooms) and a glazed cupola rising to 70 feet above ground. Fowler’s favourite writing room was an internal room on the third floor, lit only from the cupola via a fanlight over the door. The house had no central staircase, so visitors entered one of the main rooms through a small lobby, while family and staff used the basement entrance. There are verandas all round the house at first, second and third floor levels, linked by two outside stairs.